Chenega Corporation is headquartered in Anchorage, Alaska and bases its Medical Services Division in San Antonio, Texas. The division is part of the Environmental, Healthcare, and Facilities Strategic Business Unit under the Leadership of Mr. Leonard Karge, President, and Mr. Ted Terrazas, Senior Vice President of Medical Services. In October 2018, Chenega acquired Austin-based Ajanta Consulting, LLC, an Information Technology company providing Accounting and Financial support services to the Government. In November, Ajanta Consulting, moved its corporate offices to San Antonio. Moving the company to San Antonio aligns the business management and leadership to the Chenega regional headquarters located there. The acquisition fills a strategic capability for Chenega to provide financial and accounting services to the government . This 8(a), Small Disadvantaged (SDB), and Texas Historically Underutilized (HUB) company is under the leadership of Mr. Anil Patel, the former owner. Ajanta’s IT Services include Business Process Analysis and Engineering,; IT Transformation & Governance; Comprehensive Full-cycle Change Management Support Project Management; Software Development; ERP Implementation; and Security Administration and Audit Services. These services support Financial Management and Accounting Agencies that include, Financial Management, Accounting Services, Budgetary, and Accounting Support Functions. Ajanta is in the hunt for top talent! Ajanta Consulting won a contract to provide IT project management oversight to the State of Texas Agency respnsible for ensuring 60% of Texans attain a college degree by 2030. Ajanta will provide project oversight to the Information Services and Solutions Group. Ajanta has recently converted this work to a DIR ITSAC award as a result of its contract win with the State of Texas. This is ASJV's first Prime Federal contract with the Navy. This is Ajanta's second contract with the Navy. Ajanta will serve as a subcontractor to ASJV. Ajanta is teaming with Spry Methods as well as Systems Planning and Analysis to provide contractor support. This is multiyear engagement that concludes in 2020, with a five year option following 2020. 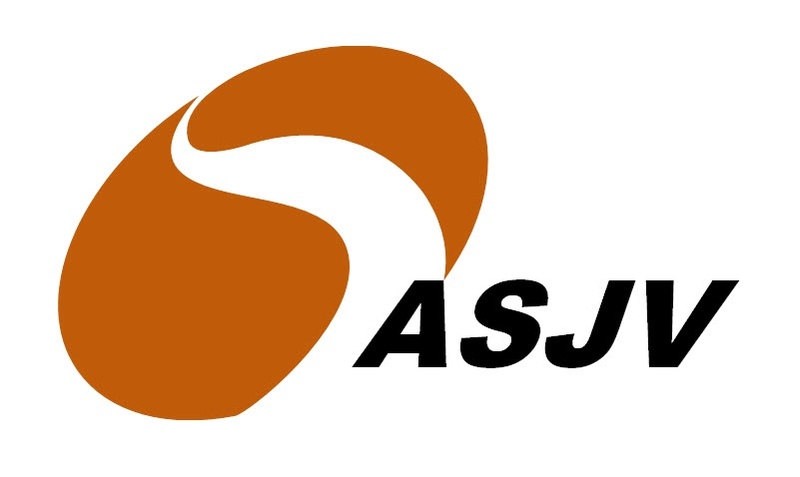 The SBA has formally approved a joint venture company called ASJV. With the approval of this JV Ajanta and Spry can jointly pursue prime contracts as well as 8(a) contracts. Via the JV each company can use it's combined credentials to prove experience and fulfill requirements for each contract proposed on. The joint venture company comes after Ajanta and Spry had agreed to a partnership and Ajanta earned it's 8(a) status in late 2013. Both companies will look to still continue individual contracts and jointly pursue those that require strengths of both companies. Systems Planning and Analysis (SPA) one of the largest privately held government contractors in the DC metropolitan area has recently contracted Ajanta Consulting after a proposal process to develop custom database software for one of their clients. The US Navy Strategic Systems Program has consistently used complex Excel workbooks and spreadsheets to track their funds control and execution information. The capacity and capabilities of Excel began to be pushed to its limits, so SPA sought a better solution. Ajanta chose a simple and eloquent database solution that has a simple user interface with powerful algorithims and validation controls to eliminate repetitive entry and manual calculations. Ajanta is developing on an accelerated timeline to accomodate the needs of SPA and the Navy and hopes to continue the relationship and provie support and enhancements as necessary. After responding to a solicitation by the US Navy's Strategic Systems Program, Ajanta Consulting was selected after a a proposal process to be the prime contractor for the SP206 Transportation and Logistics contract. This is Ajanta's first Prime Federal contract with the Navy as a part of the SBA 8(a) program. Ajanta is teaming with Spry Methods to provide contractor support. Ajanta also will provide its own personnel on this multiyear engagement that concludes in 2016. Ajanta will have an opportunity to recompete the contract at it's conclusion. Ajanta Consulting has been chosen as the primary subcontractor on the US Navy Strategic Systems Program SP13 contract. This contract is currently primed by Spry Methods in order to serve the commands comptroller as the main arm of Financial Management Services. This accounting and budgetary support employs several highly qualified consultants to serve the high volume of financial data and reporting demands that are required. Ajanta will also employ Systems Planning and Analysis as a subcontractor to help the command's needs. Ajanta's contract will continue until early 2015. Spry Methods and Ajanta Consulting have agreed to a partnership that would pair the two companies in future 8(a) opportunities. Spry Methods is a consulting and professional services company based in Crystal City, Virginia. Spry specializes in utilizing its deep industrial knowledge in it's support of federal government agencies. Spry has a large group of talented and experienced professionals that drive the results driven environment that makes it one of the best places to work in Washington DC in 2014 as named by the Washington Post. With this partnership the companies hope to pursue various 8(a) contracts including several that will boost the growth and potential of both firms. After a rigorous application and proposal process Ajanta Consulting has received the Small Business Association's (SBA) 8(a) status. The SBA has established the 8(a) certification for the purpose of assisting small businesses that are classified as historically disadvantaged to do business with federal government agencies. Roughly 23% of federal cr ontracts are site aside to these 8(a) certified businesses. Click below to learn more about the 8(a) program. After it's recent HUB status certification Ajanta pursued and was awarded a contract through Cooper Consulting to provide Security Administration services to the Texas Department of Transportation (TxDOT). TxDOT is is undergoing one of the largest PeopleSoft ERP implementations in US history to integrate the current Human Capital Management (HCM), Financial Supply Chain management (FSCM), and Enterprise Learning Management (ELM) systems. Ajanta will serve as the primary security administrator for the implementation and established a system of controls and measures to assist in audit readiness. Additionally, Ajanta will be a critical player in change management by conducting the role mapping for the entire organization. With this opportunity Ajanta is looking forward to expanding into future work with the State of Texas as well as TxDOT. Ajanta Consulting recently applied and received its State of Texas Historically Utilized Business (HUB) status. With this certification Ajanta will have access to roughly 25% of projects that other firms that do not have the status. This is a blog that will keep you up to date on the latest news and happenings with Ajanta Consulting. Please subscribe below to keep track of the latest news.